Fake Plastic Tunes: Album Review: Indians - "Somewhere Else"
From Copenhagen, Denmark, the emerging artist Søren Løkke Juul, more commonly known as Indians, is set to release his debut album Somewhere Else on January 29th. Juul had been working as a backing musician in various bands for nearly 10 years, which left him yearning for a deeper feeling of excitement and nervousness that was lost over time. 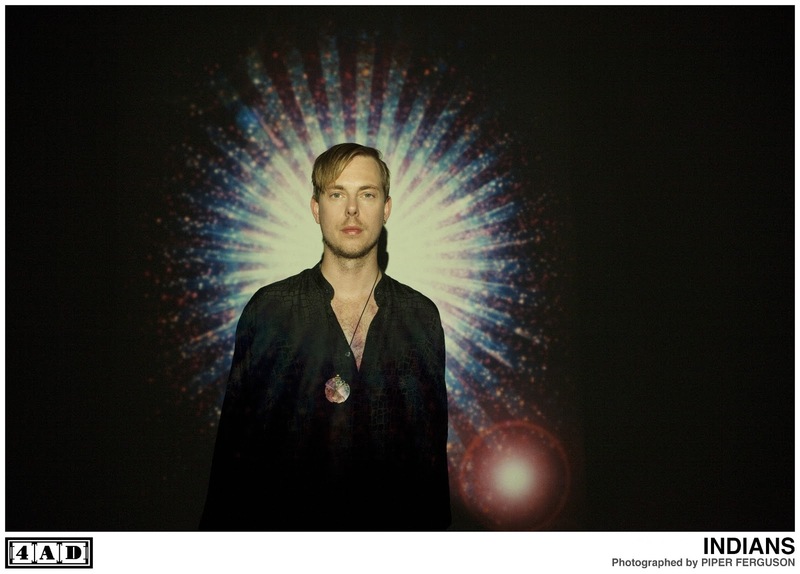 Challenging himself, Juul took the reigns and began writing songs, releasing "Magic Kids" under the name Indians. 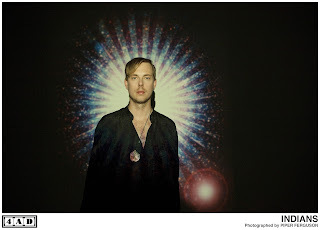 Without wasting anytime he was soon spotted and picked up by 4AD (responsible for acts such as Grimes, Bon Iver, Twin Shadow..to name a few), which lead him to the writing of his debut album Somewhere Else. A few weeks away from the album's release, it's already picked up a considerable amount of momentum, being compared to albums like Bon Iver's For Emma, Forever Ago and it's easy to see why. Featuring 10 personal and carefully constructed songs that "document equal parts of melancholic lament and hopeful stargazing." You can hear a vast amount of tones throughout, which begins with the albums opening track "New": a stripped down track featuring a slow-steady beat accompanied by powerful vocals and dreamy sound effects. "Magic Kids" is one of the the album's most promising songs continuing with a similar new-wave sound featuring a variety of chimes and other electronic sound effects. Other tracks such as "Cakelakers" and "I Am Haunted" stray away from the new wave/electronic sound mentioned earlier, carried primarily by acoustic guitar and layered with a simple orchestral arrangement. When you combine lyrics such as, "when you gotta go/and anyway we let you go" with the acoustic driven melody, "Cakelakers" provides a soothing feeling of optimism and letting go. It's easy to see why Juul retreated to the Danish countryside to write and record for the album. Aside from the album title, Somewhere Else, the reoccurring theme of otherness is present from front to back and provides you with a sense of time and place, reflecting upon the landscape in which it was created. I thoroughly enjoy the album's overall "seasonal tone"... for lack of a better word. There are times when the album feels more dreary and cold, but eventually leads into something warmer, coupled with more of a buoyant mood. There is a strong sense of "feeling" throughout, enabling you to draw an imaginary scene as you listen. Overall, Somewhere Else provides you with 10 carefully constructed songs which take you on an emotional journey and again, ultimately give you the sense of looking out into "somewhere else." 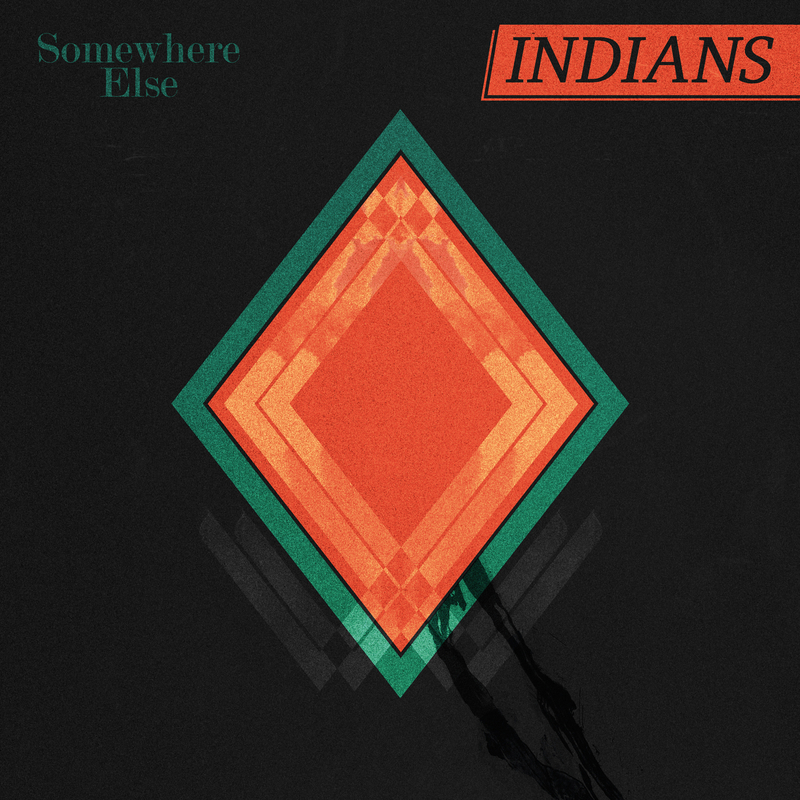 It's an excellent debut album that will undoubtably continue to gain praise and attention throughout the year; Indians will be an exciting band to follow for 2013. Also as an afterthought, I unknowingly had the pleasure of seeing Indians open for Other Lives earlier this year; one of the most memorable opening acts I had seen in 2012. When performing live, Juul is accompanied by a three piece band, but also performed solo for particular tracks. Head over to www.heyiamindians.com for upcoming tour dates where you can also download "Cakelakers" free of charge. The video below was filmed in one day on Osea Island, a small privately owned island near Essex, UK. Enjoy.